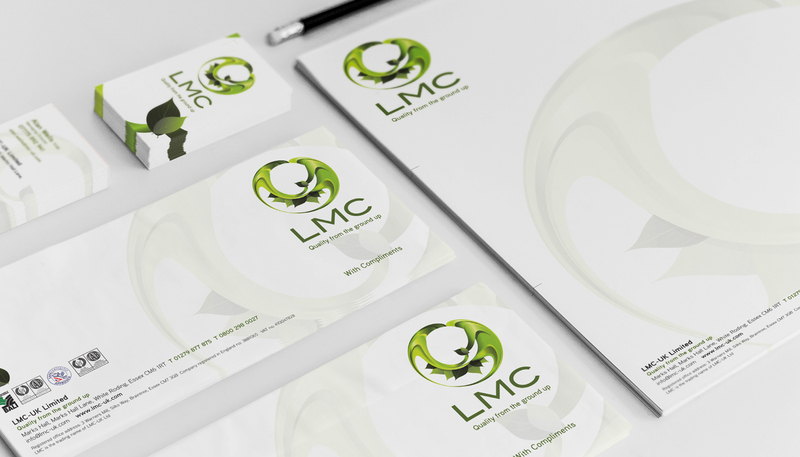 Headquartered in Essex and operating throughout the South East, the Landscape Management Company (LMC) is a business-to-business operation, specialising in providing ground maintenance services to property management companies and housing associations. In coming to us, LMC’s main concern was to present themselves as a professional, multi-faceted firm capable of producing total ground maintenance and facilities management for private corporations or public bodies, as opposed to an odd-job, man with a van operation. 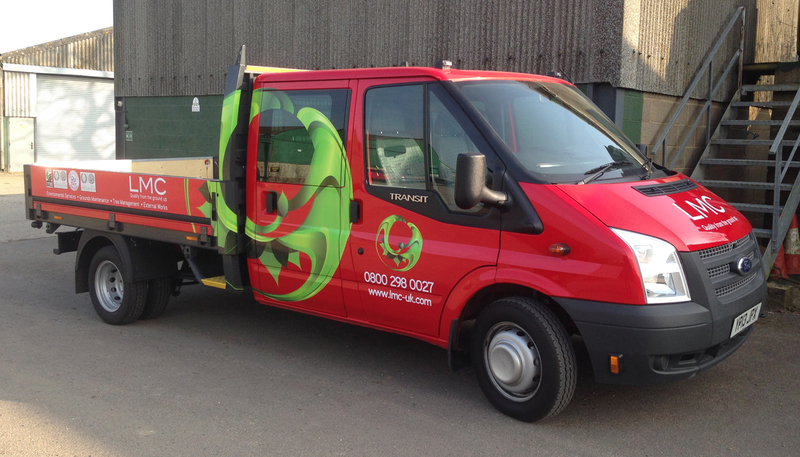 The brief was to create a corporate identity in the fullest sense of the term – namely a comprehensive overhaul of the company’s image in all its aspects from business cards to vehicle livery. The logo was the starting point: the objective being to create a symbol with an organic feel whilst steering clear of the visual clichés with which landscaping companies are usually associated. This was achieved with the creation of a modern, wreath-like circlet which is strong, bold and dynamic without appearing unduly fussy or illustrative. From this was developed a full range of business stationery including letterheads, compliment slips, business cards, quotation folders, invoices and credit notes etc. 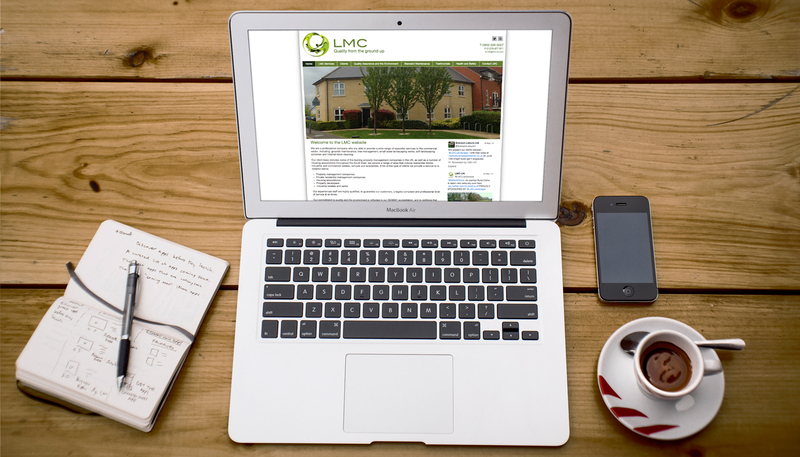 LMC’s new corporate has been fully realised and rolled out both on and off-line. 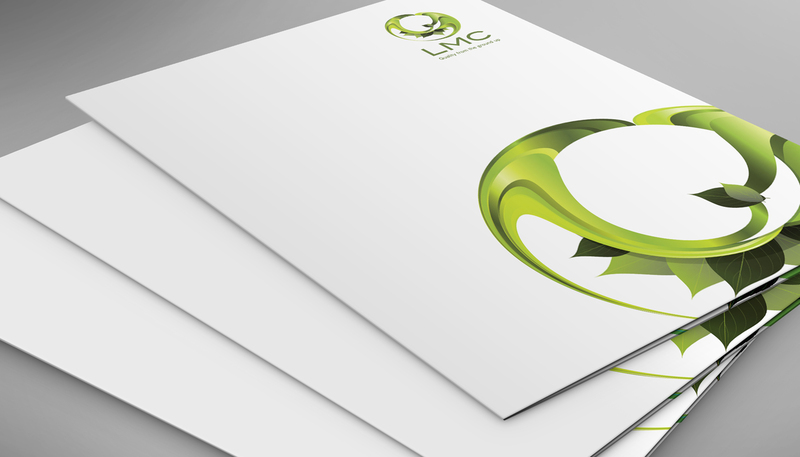 A customer’s first point of contact with the business is usually through their website or social media networks, and a key aspect of this project was rebranding these to bring them in line with LMC’s new corporate identity. But perhaps the most visible aspect of LMC’s public presence is its fleet of service vehicles, including three new Renault Trafics, a Ford Transit drop side and a Ford Twin Cab Tipper, all of which have been branded with the new corporate and make one of the best – and certainly the most widely seen – advertisements for the firm.